Latin for 'not active', i.e. without the characteristic smell of most species in the genus. Laurus caryophyllata Reinw. ex Meisn. Understorey tree up to 16 m tall and 39 cm dbh. Stipules absent. Leaves alternate to opposite, simple, tripli-veined, glabrous, sometimes glabrous below. Flowers ca. 4 mm diameter, white-yellow, placed in axillary panicles. Fruits ca. 10 mm long, green, fleshy drupes placed on slightly swollen flower base with persistent calyx lobes. In undisturbed to disturbed mixed dipterocarp and sub-montane forests or in open sites, up to 1800 m altitude. Mostly on hillsides and along rivers. The waxy, rancid smell produced by the flowers attract hoverflies, small beetles and other small insects, which are potential pollinators for the plant. Its seeds are dispersed by birds, squirrels and bats. Its leaves are the common food source of caterpillars of the Common Mime (Chilasa clytia clytia) and the Common Bluebottle (Graphium sarpdedon luctatius). The timber is insect resistent and used for house building and cabinet work. The bark yields an inferior grade of cinnamon but oil distilled from it and from the leaves can be used for flavouring and for incense sticks. Medicinally various plant parts are used for child birth complications, fever, rheumatic poultice, and to relieve flatuence, intestinal and urinary complications. Leaves are used for preparing sweet drinking water in rural areas. Sometimes planted as an ornamental. 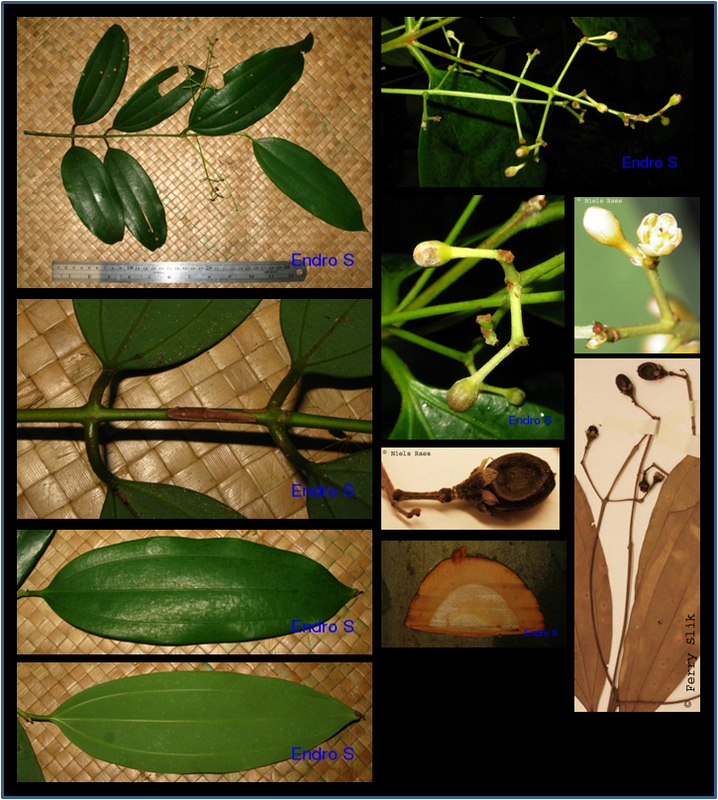 In cases of poisoning by the latex from Antiaris toxicaria (Poison Arrow Tree or Ipoh Tree), the leaves can also be used to produce an antidote. A decoction of the boiled roots is also administered to women post-labour. From India and Indochina into Peninsular Malaysia, Sumatra, Java, Borneo, Philippines.